The purpose of using Boxee device is to bring the internet onto the television possessed by the person no matter where they are situated. It acts as a media extender. Boxee Box acts as a digital media receiver. Mainly users who possess a HD Television would be able to watch website content by establishing an internet network connection between the TV and the internet connection itself. Most important feature of a device which would be used to connect a device with an internet network is security. Connecting device should be able to ensure secured internet connection. Only method which can be used to secure the network is a Virtual Private Network. Boxee Box device has in-built VPN setup, so the process to setup Boxee VPN is quite simple. 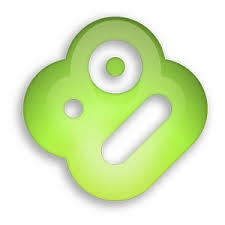 Boxee VPN not only provides a secured internet connection to the user, it also enables the user to unblock popular websites and also access the contents of those at higher speeds. By having VPN connection setup on Boxee Box, HDTV which was connected to the internet using Boxee can be used to view popular movies, videos, TV shows which would be showcased in few of the best video streaming sites such as Hulu, Netflix, Pandora, BBC iPlayer etc. This would be a restriction less access to the subscribers. The step-by-step procedure to setup Boxee VPN given below would give the user a clear cut solution to setup Boxee VPN. The first step is to open the Boxee device and give some time for the home page to load. It might take few seconds to few minutes. Once the home screen has loaded, just use the remote control to go to the “Options” menu. Just click on the Options button in order to open the Navigation menu. Now, in the top left corner of the home screen, the user would be able to find a gear shaped icon, which is nothing but the “Settings” icon. Use the remote to navigate and click on the icon. In the Settings page, the user should click on the “Network” option. Next, in the Network page, one can find the option of “VPN”, which would be displayed in the last. In the next page, user should enter certain values corresponding to the VPN connection. Almost all the parameters that have to be entered in this page would be provided by the VPN subscriber in the Welcome Mail to all their subscribers whoever might have signed up for their service. In the VPN page, the connection type should be changed to the type of protocol provided by the VPN provider. Mostly, it would be a PPTP VPN connection. Thus, change the connection type as PPTP. Server entry would be the next slot and in this, the user should enter the server to which they are going to connect to. Server Selection list can be used to know the type of server that the person is going to connect to. Any one of the PPTP/L2TP server name should be entered. After that, the user should enter the account details such as the username and password which would be provided by the VPN provider. Encryption type field should also be entered. It can be unchecked too, but if the user finds problem with the connection, then they can enter the encryption bit type provided by the VPN. The main motive of leaving the encryption bit entry unchecked is to provide a faster website streaming. The last and final step would be to click on the Connect button which would be located at the bottom of the page. With that the Setup Boxee VPN process is done and the connection would be made. If the user is facing problems connecting to the VPN server after finishing all the above mentioned steps, they can opt to cross-check all the parameters entered in their respective locations and if they still face problems with the connection, they can contact their VPN service provider, who would then guide them in solving all the problems they are facing. From the subscribers end, the user should always stay in touch with their VPN service provider and see to that, they are updated with all the information corresponding to the VPN connection and changes that might occur in the server address, sever location, etc. This would help them in maintaining a strong VPN connection throughout. To setup Boxee VPN, the user should choose the top rated VPN service provider, which can be chosen from the best 5 VPNs listed below.